Infiniti has released the details of the Q30 Concept which will have its world premiere at the Frankfurt Motor Show. 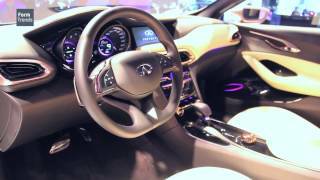 The Q30 Concept signals Infiniti’s future in the luxury compact vehicle segment. The Q30 Concept will go into production in 2015, so there is plenty of time to re-design. 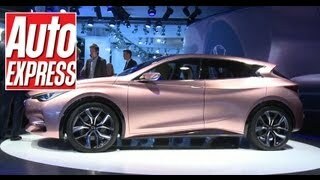 The Q30 Concept looks promising as it has a distinctive style and product quality. Like the Q50, the Infiniti Q30 Concept also incorporates dramatic design cues from the visionary Infiniti concept trilogy – Essence, Etherea and Emerg-e. 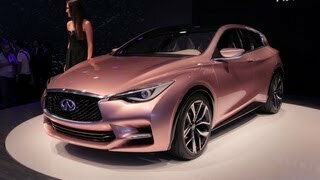 The Infiniti Q30 Concept is a prelude to the product portfolio expansion which underpins Infiniti’s aggressive global growth strategy. 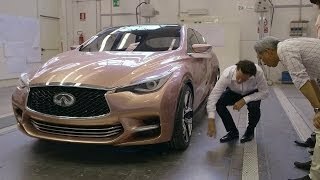 The Q30 Concept will appeal to the modern, young-minded premium customer.